You can Register online or be our Early Bird participants. 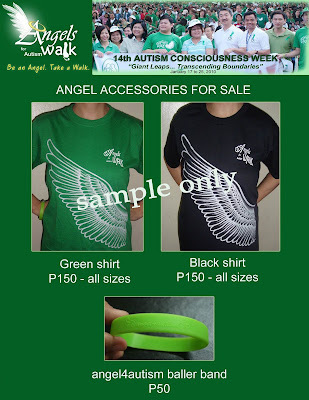 ASP will be giving free Angels Walk t-shirts to children with autism whose parents are Active Members. You have to register quick because stocks are limited to the first 100 registrants. Free t shirt of registered CWA participants will be given during the walk after presentation of valid ID of parents.